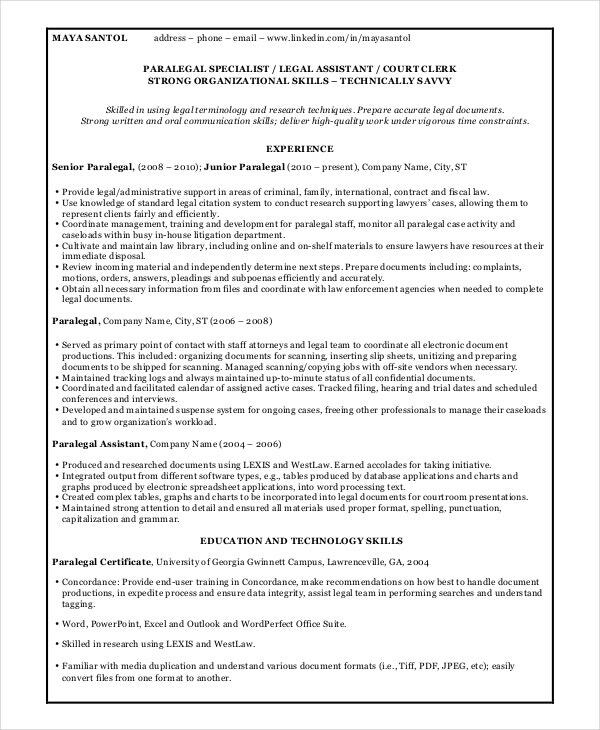 Paralegal Resume Templates display the skill sets of students who act as assistants to Lawyers and Senior Legal professionals. These Resume Formats are designed in a simple manner that covers the complete aspects of the student assistants. 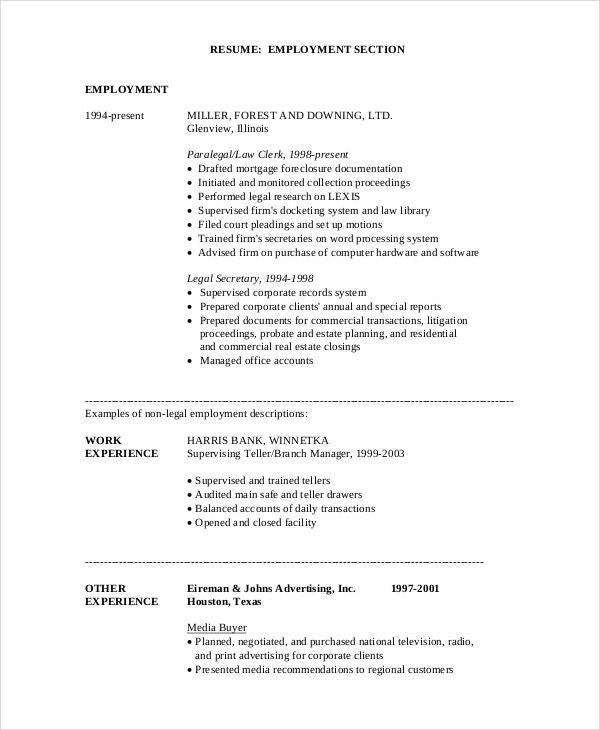 The other resumes that can be used by legal professionals are Lawyer Resumes and Legal Administrative Assistant Resumes. These are simple formats that are designed in a way for the users to customize to suit their needs from time to time. 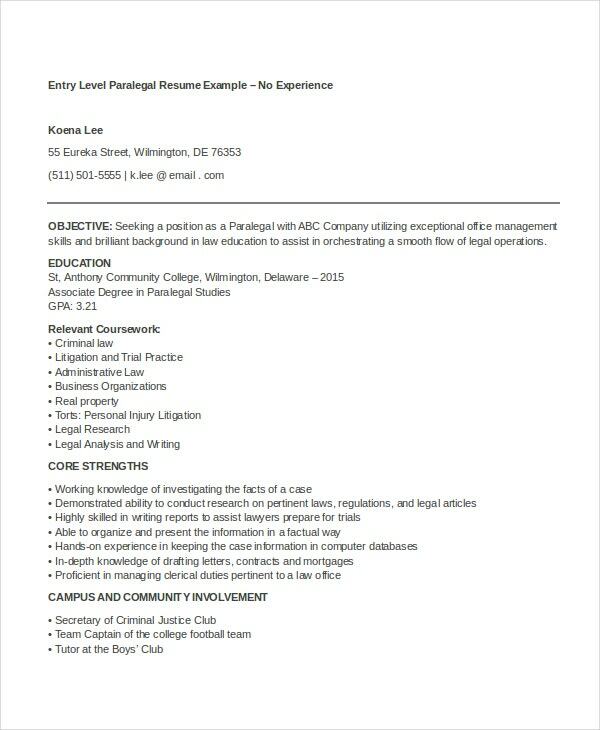 Entry Level Resume is a format that captures the skill sets of paralegals whose main responsibility is to assist legal attorneys. It is a simple format that can be customized by the users. 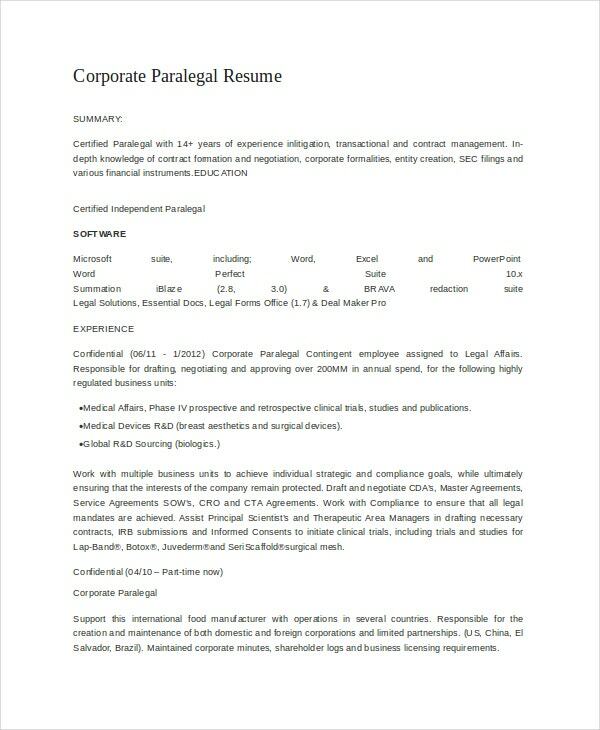 Corporate Paralegal Resume is a resume format that captures the details about the assistance of legal authorities who handle the legal aspects of corporate companies. It is a simple format to download and customize. You can also see Free Resume Templates. 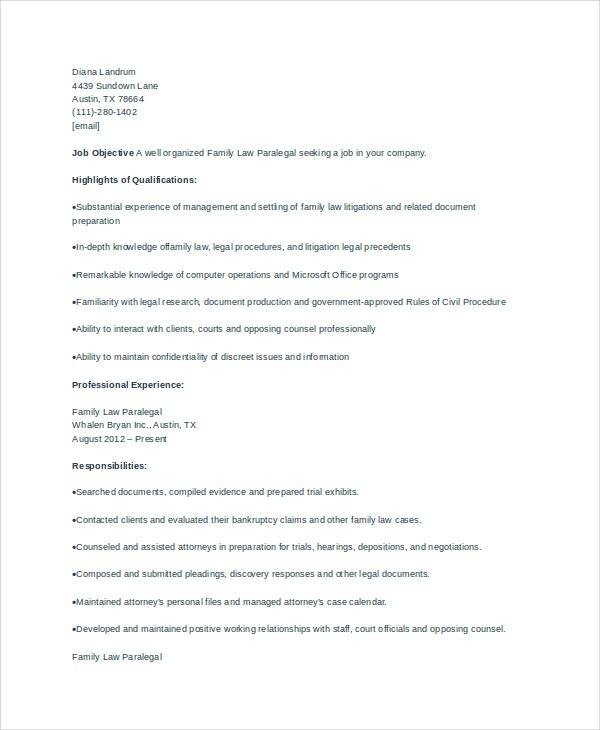 Real Estate Paralegal Resume is a format that captures the details of the assistance of lawyers or advocates who work on Real Estate matters. This format can be downloaded and customized by users. 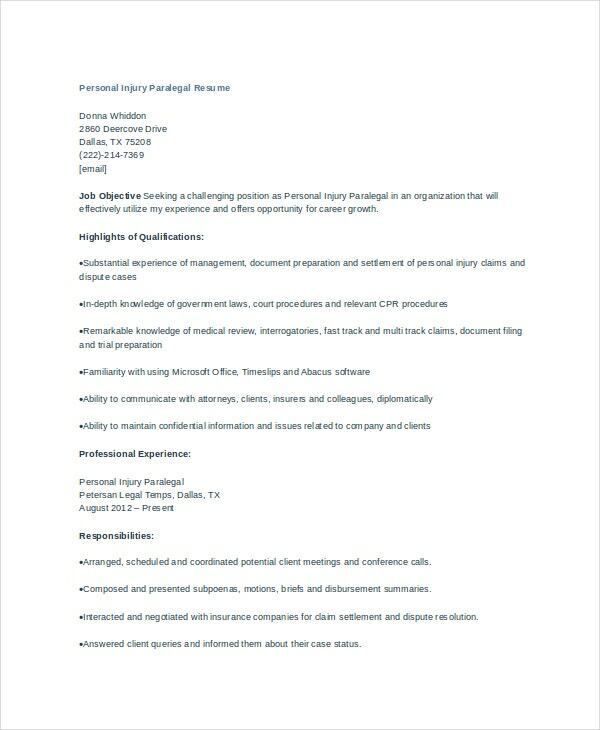 You may also see Work Resume Templates. 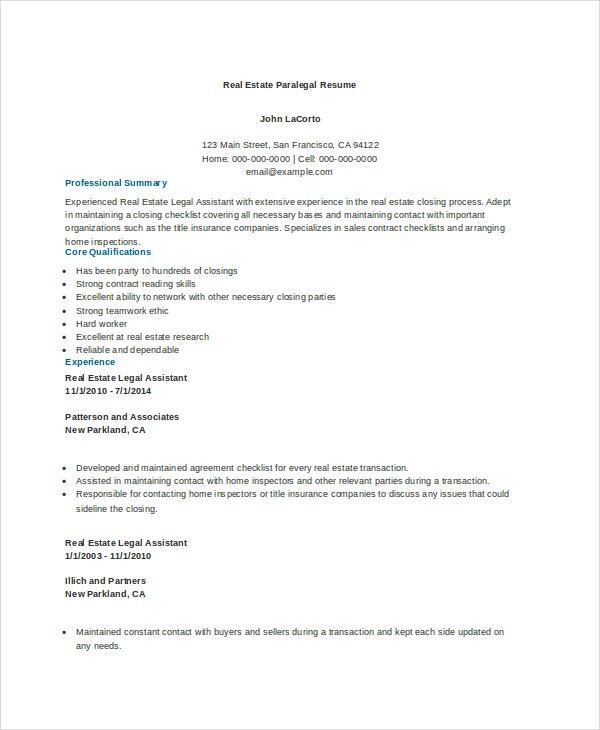 Sample Foreclosure Paralegal Resume Download is a resume format sample for people to understand how such a basic resume will look. This sample format can be downloaded and used easily. 1. 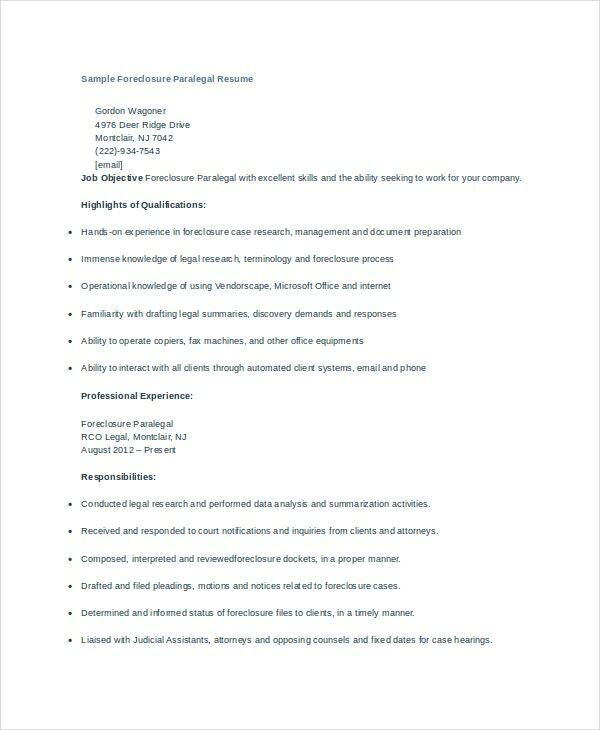 How to use Paralegal Resumes? Paralegal Resumes are basically the resumes of assistants who are appointed under legal people who handle legal matters for various entities. These paralegals are more of student assistants and not regular employees. There are different types of paralegal resumes based on the responsibilities that these assistants are made to handle. Paralegal Resumes are simple formats that allow easy download and customization by users who want to use the same. These formats can be downloaded for free of cost at any point in time by the users. Paralegal resumes are designed in a manner to accommodate all types of responsibilities. 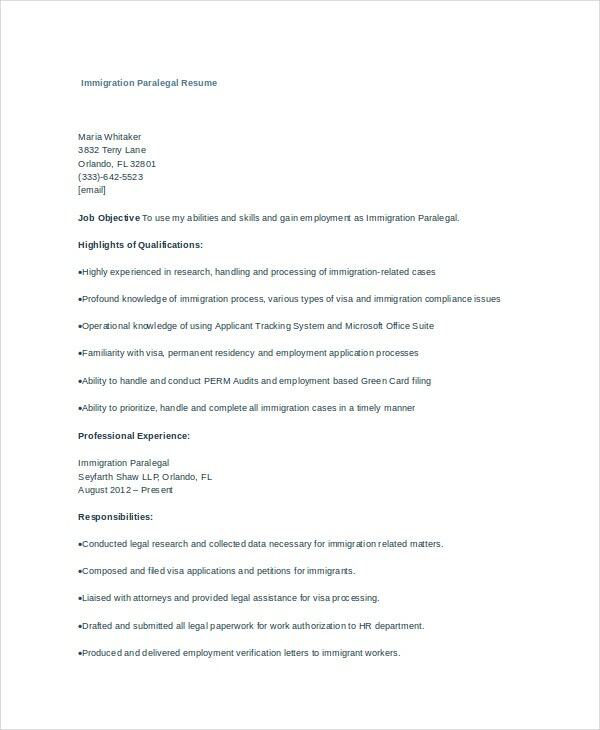 Immigration Paralegal Resume in Word is a resume format in Word. It captures the skill sets of assistants to legal authorities who work for immigration-related services. You may also see Simple Resume Templates. 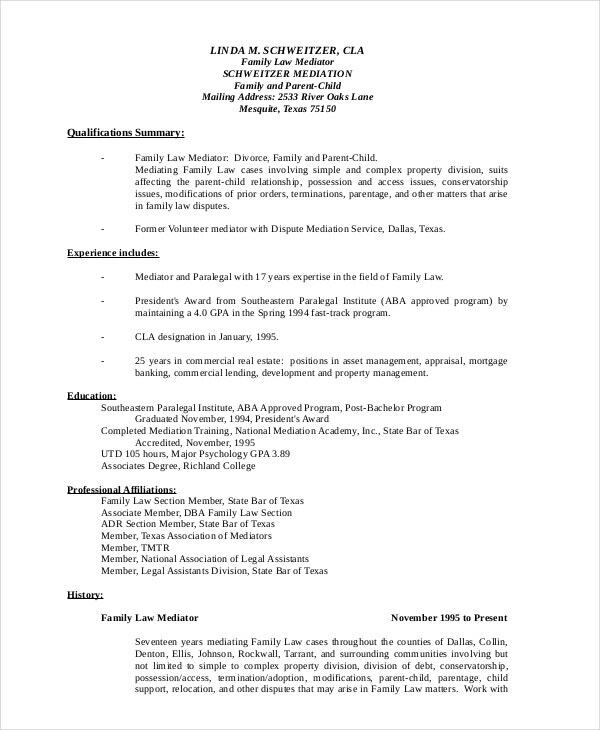 2. Who benefits from the Paralegal Resumes? These different types of resumes can be downloaded as many times as possible by the users who want to make full use of the same. After downloading these formats, they can be customized by users to suit their requirement.